Halfway through the 2011 New York City Marathon is both where this entry was written, and where my race actually began. Nearly two months of ultrasound and countless hours of therapy weren't enough to convalesce my troubled hamstring, which unbeknownst to me was a precursor to a more severe, undetected infirmity. And with 12 miles -- or roughly 24,000 steps left to go -- the grand, lofty notion of taking just one more was in question. So I wrote this entry. In as much time as it took a thousand runners to pass me by, I wrapped my leg in a makeshift tourniquet using stored gauze and as many white flags as I could find in my heart. If there's one thing this most novice of runners quickly realized on that bridge, was that the next step was as necessary as the eventual stride that would be needed to cross the finish line. 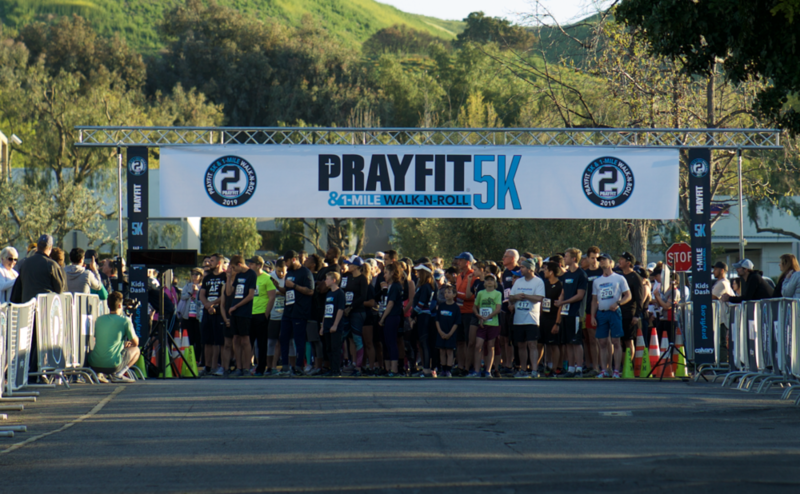 I thought of that old bridge this past weekend as so many people in our community and across the country sacrificed a sacred Saturday to walk and run a few miles in the 2nd Annual PrayFit 5K. After all, they didn’t have to. They could have ignored the invitation. They could have reasoned that someone else would do it; someone with more time or someone with more energy could help. They could have given at the office. But instead, they chose. They chose to set their alarms, ignore the snooze and lace up their shoes. For a few hours on Saturday, they helped turn a church parking lot into Olympic Stadium. Thank you, friends. Thank you for rising to the occasion to help so many kids and families affected by special needs. We’ll post images and memories of the day very soon - and I will likely write about some of the stories I came across - but for me to fully express my gratitude would be like asking me to high jump the moon; impossible. But don’t think I wouldn’t try.